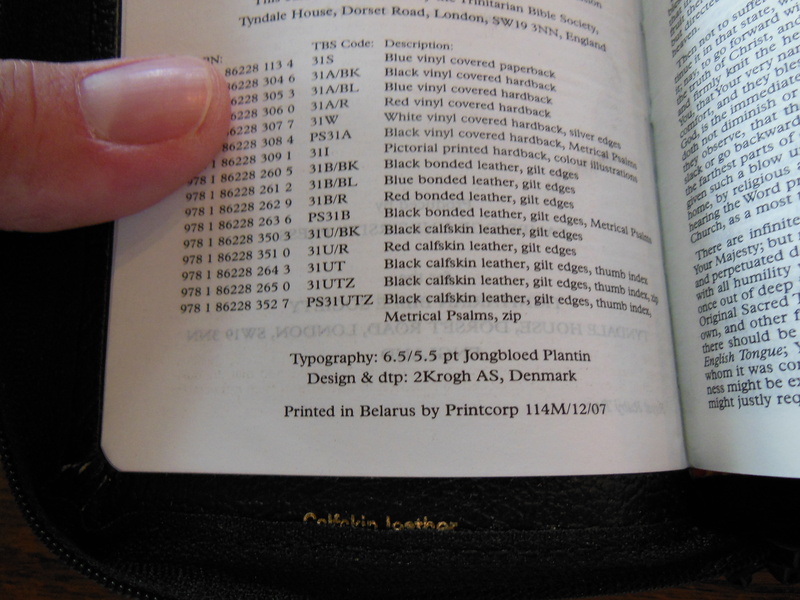 Review of the Trinitarian Bible Societies (TBS) Royal Ruby Text Bible with Zipper, Thumb Index, and Metrical Psalms in Black Calfskin Leather. 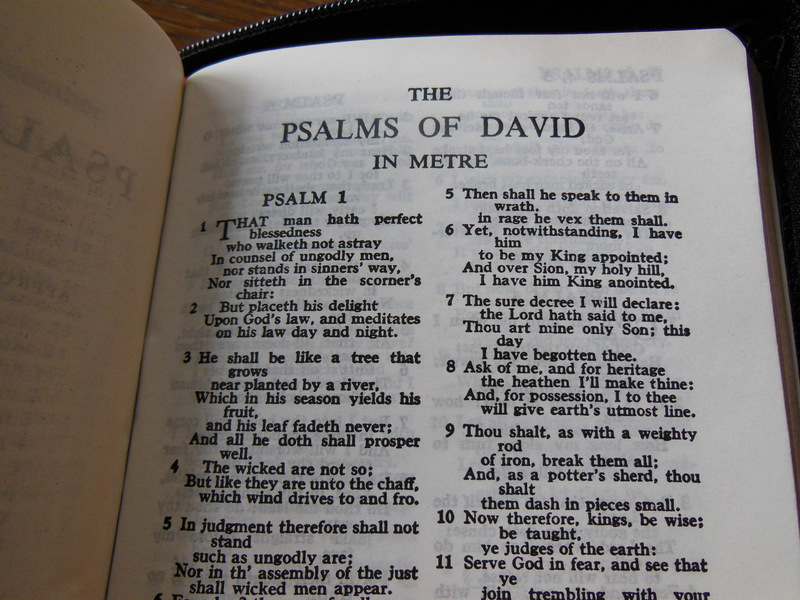 I was looking for a nice compact Bible to carry with me at work. 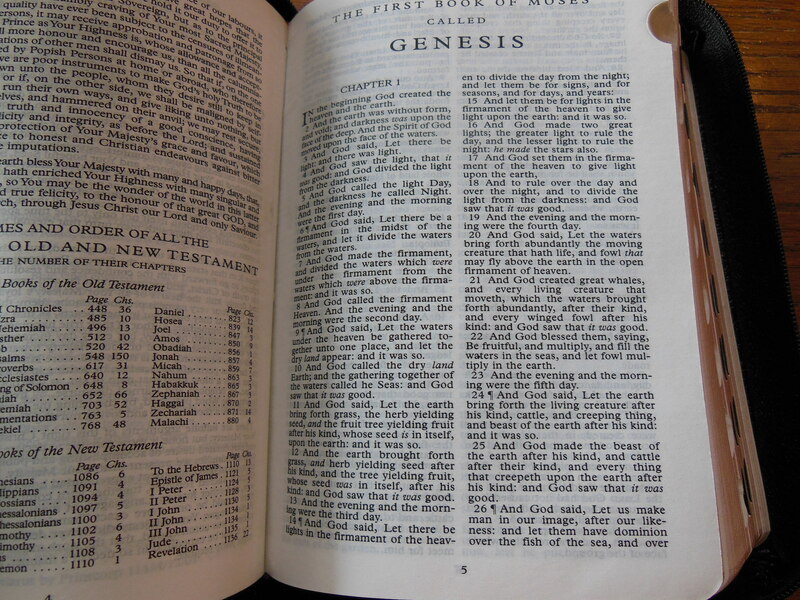 Most of the Bibles I found were not of good enough quality. 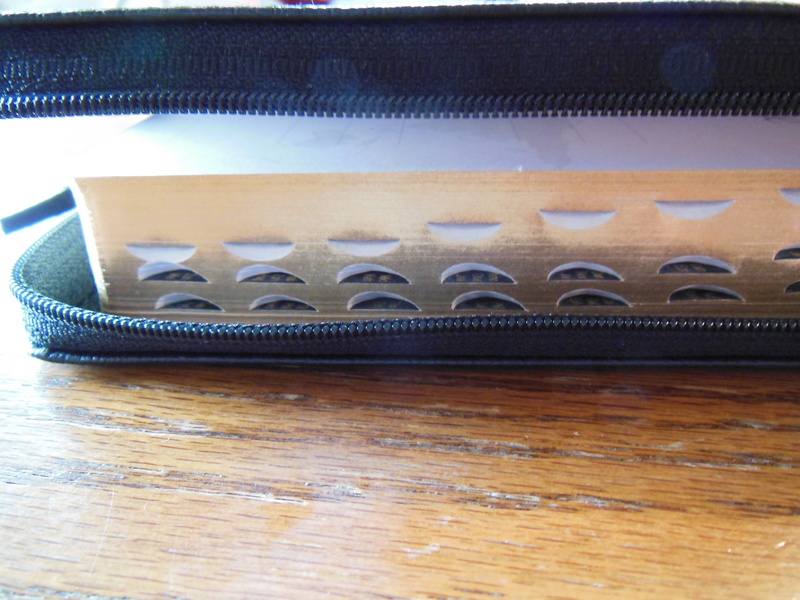 They would not withstand daily use and carry. 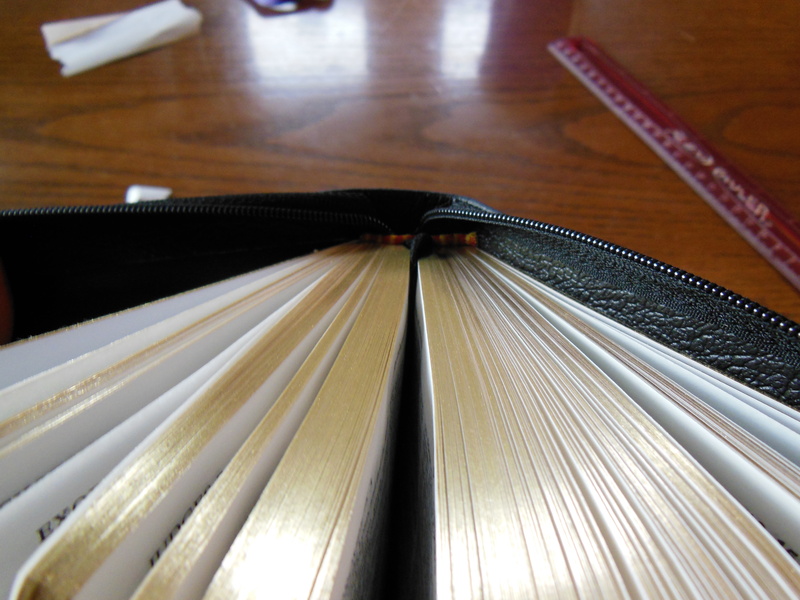 I wanted one that had a smyth-sewn binding and was covered in genuine leather. 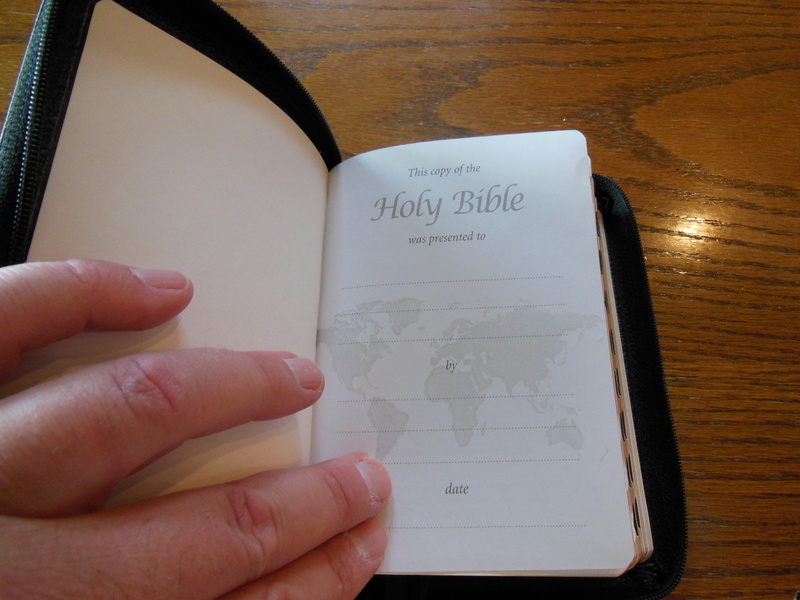 While scouring the usual online retail sites I kept finding the same low priced compact Bibles. 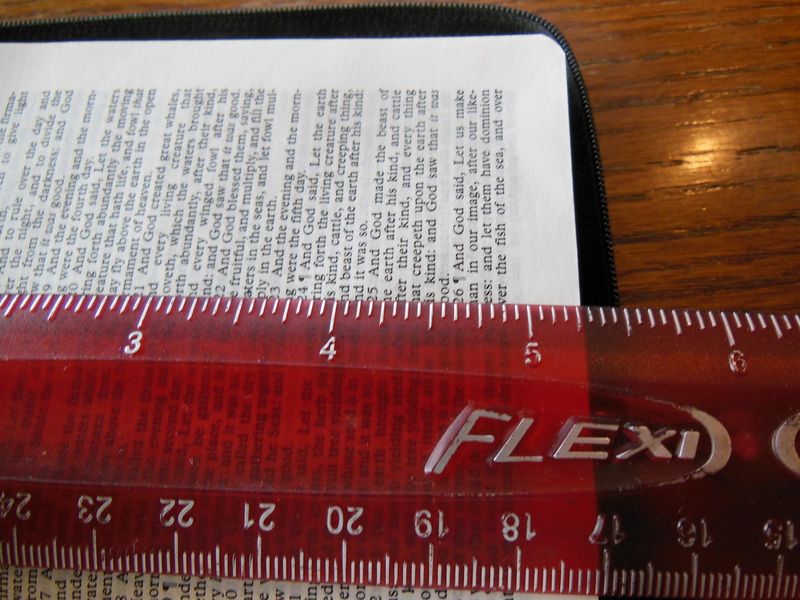 Don’t get me wrong, for the price a person could afford to replace them when they fall apart, but there are other problems with inexpensive value Bibles. 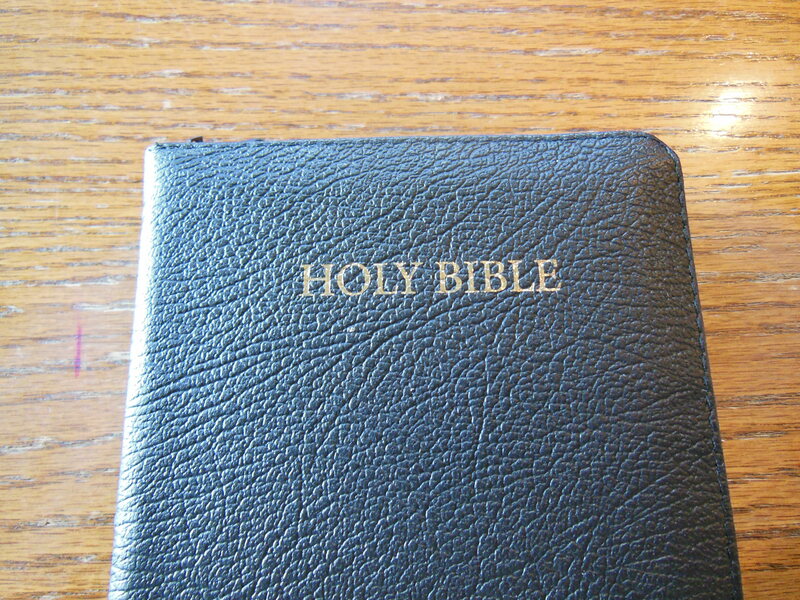 The paper is usually not Bible paper, the font is not printed sharply and clearly, the Bible is put together in China or Korea where the workmanship isn’t as conscientious, The Bibles are stiff and by the time you brake them in they are falling apart, the bonded leather cracks and swells, the bindings come unglued and pages start falling out, and so on. 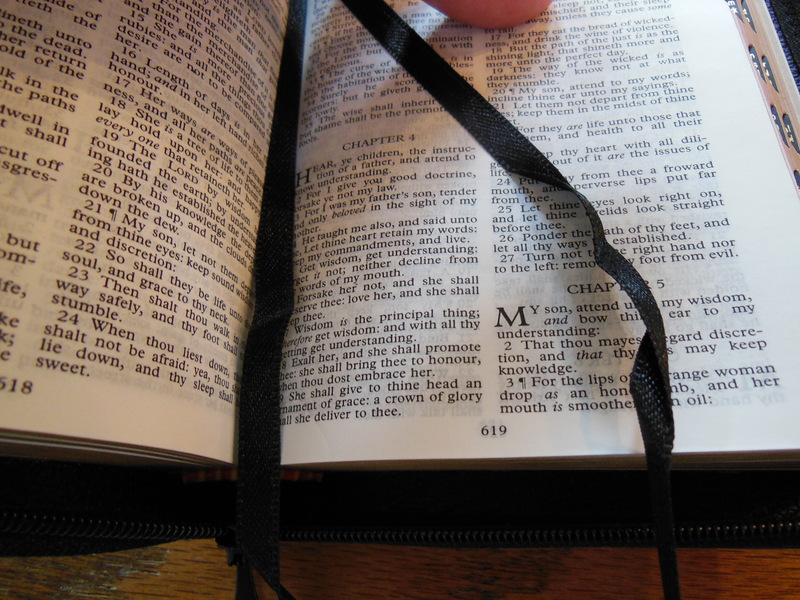 If you are like I am you’d rather spend a few extra dollars and get a Bible that will become an old friend, or something you’ll be able to hand down to loved ones when you pass. 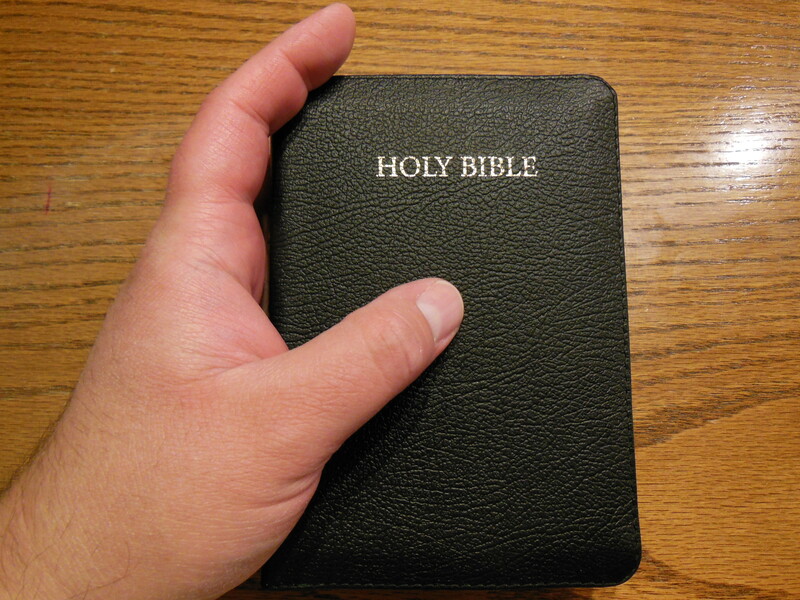 Something that you would have used so often that it takes on your scent and the wear and tear you cause remind your loved ones of your love for God’s word. Maybe it will inspire them to open it up and read it as well. 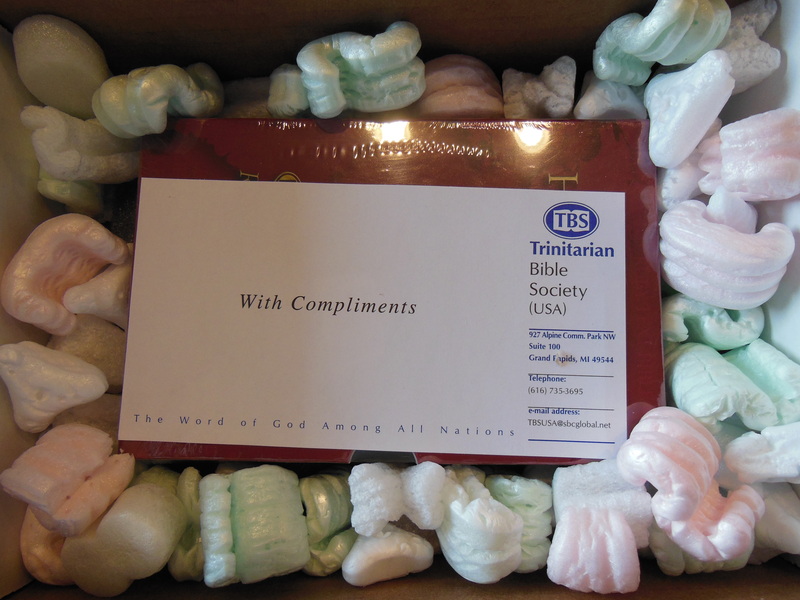 So with all of that in mind I did a search for, “compact smyth-sewn Bible” and found out about a Bible publisher called, “Trinitarian Bible Society.” We’ll refer to them as, “TBS” for the rest of the review. I tried to visit their web page, but to my surprise it was closed for business due to it being Sunday. This was a pleasant surprise and caused me to become even more curious about them. I did some research and found this little gem. 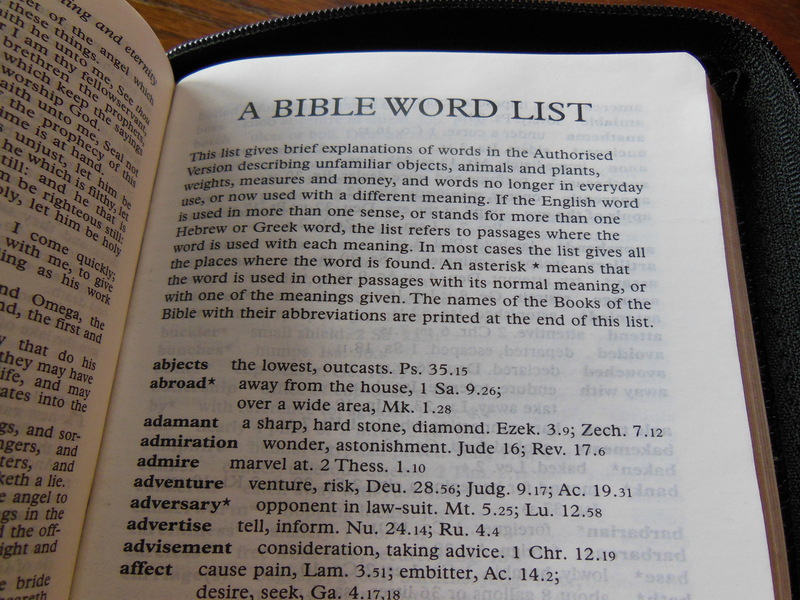 and in the Authorized King James Version. I’d like to take a bit of time here to tell you a little about TBS. They are a ministry based in England. 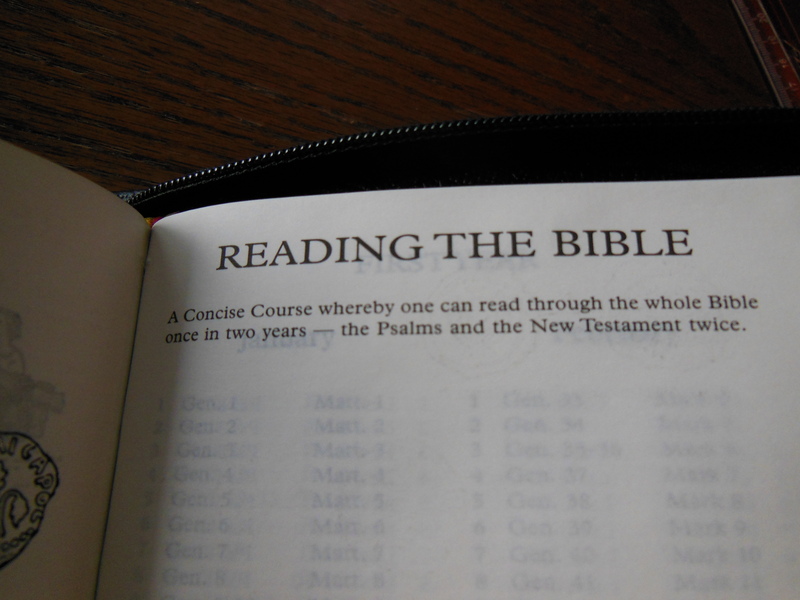 They use the money they make off of the sales to provide Bibles to those who can not afford them. 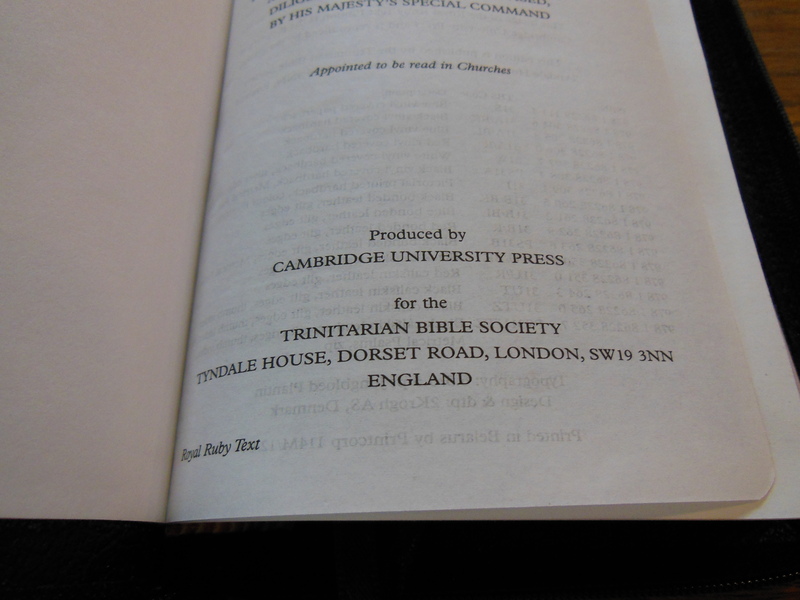 They only print the Authorized King James Version, so if you want a different version you might try Cambridge. 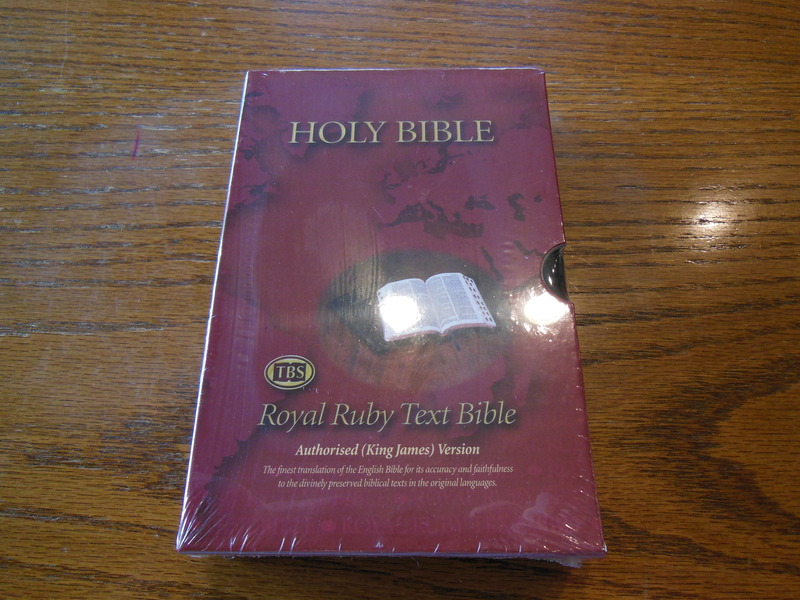 I sent them an e-mail and asked for a review copy. They sent one gratis with no strings attached. 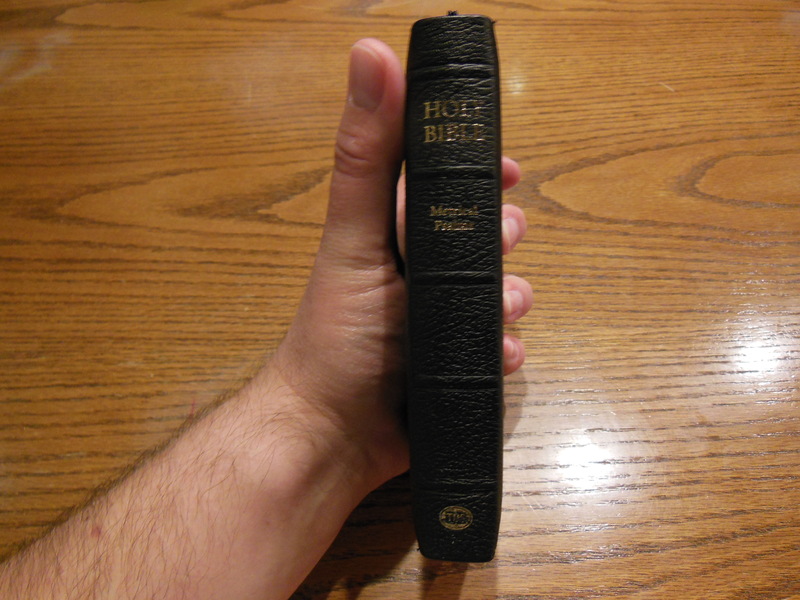 I really like the size of the Bible. It’s cover is a bit stiff as it is glued to card paper and then lined with vinyl. 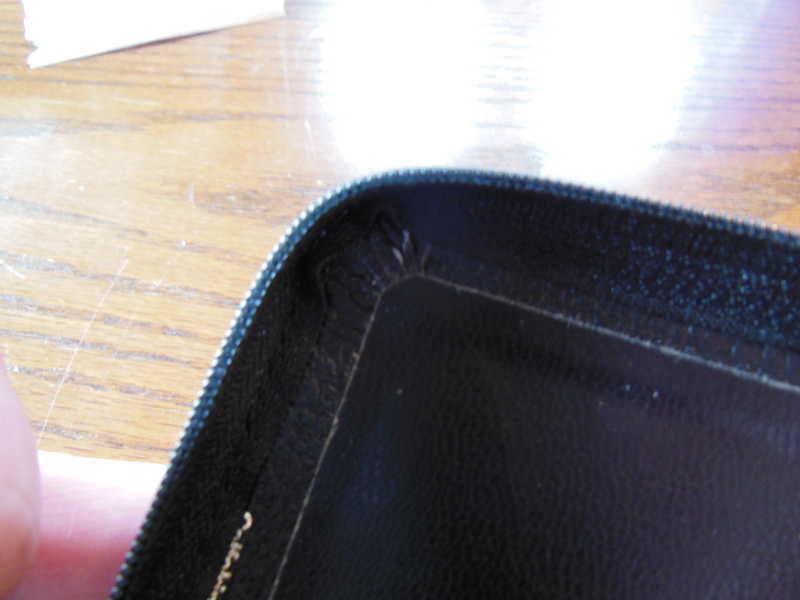 The grain of the leather is pretty defined so that makes it easy to hold on to. 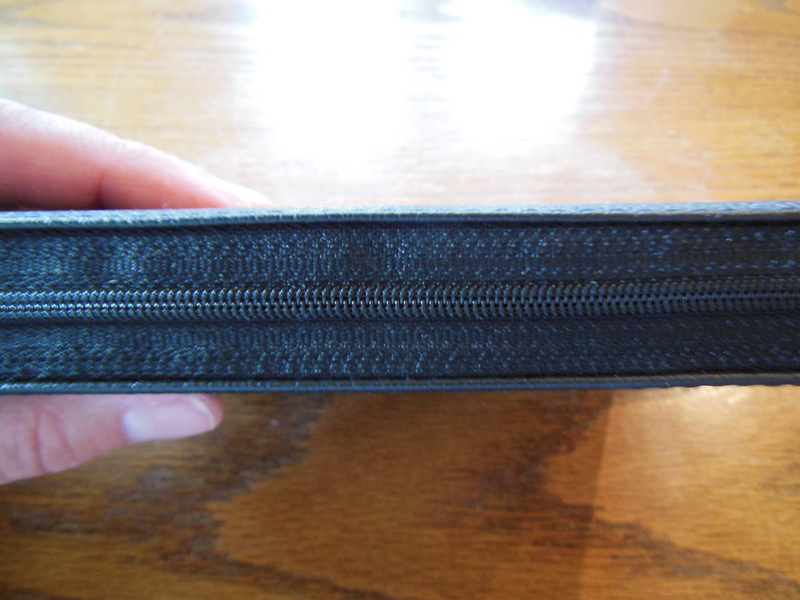 The zipper is sewn to the semi-yap cover. 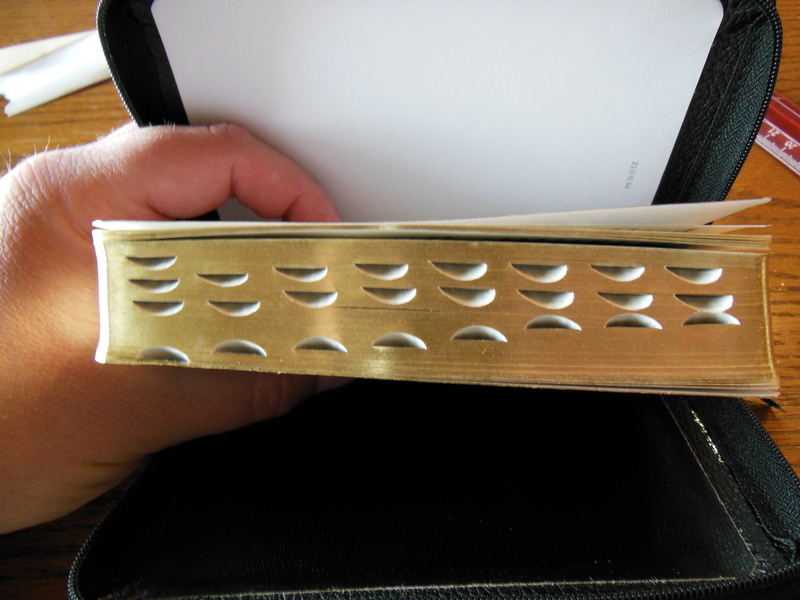 It does a good job of protecting the pages. 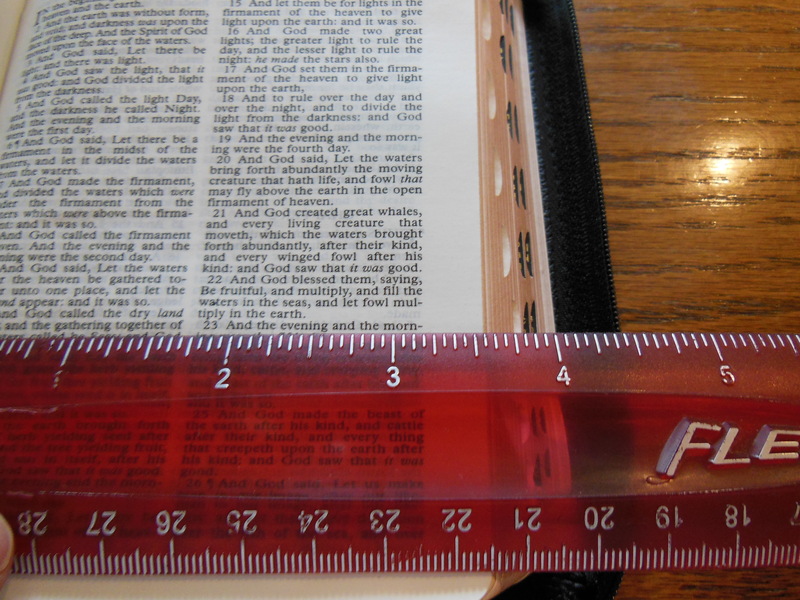 The Bible feels like it is going to break in nicely. It looks like it is put together well. 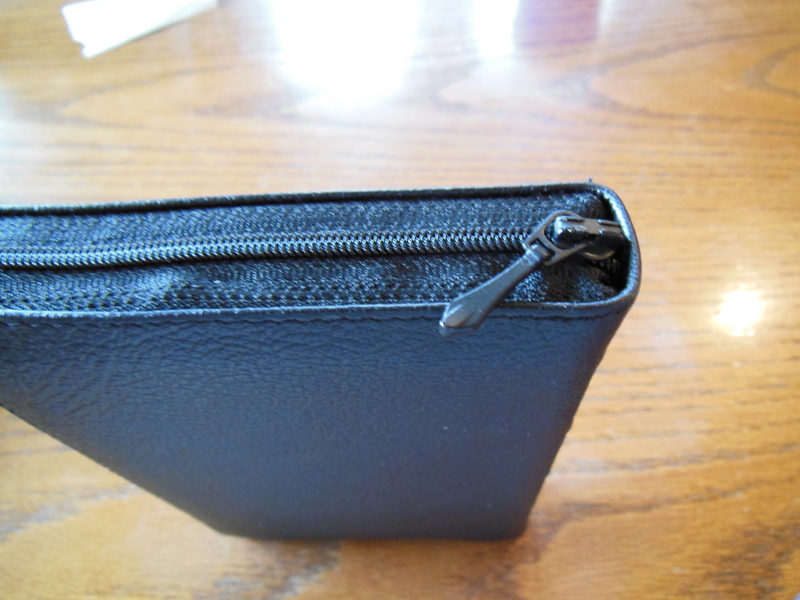 It fits in my hand easily and it is light weight enough to hold for long stretches of time. 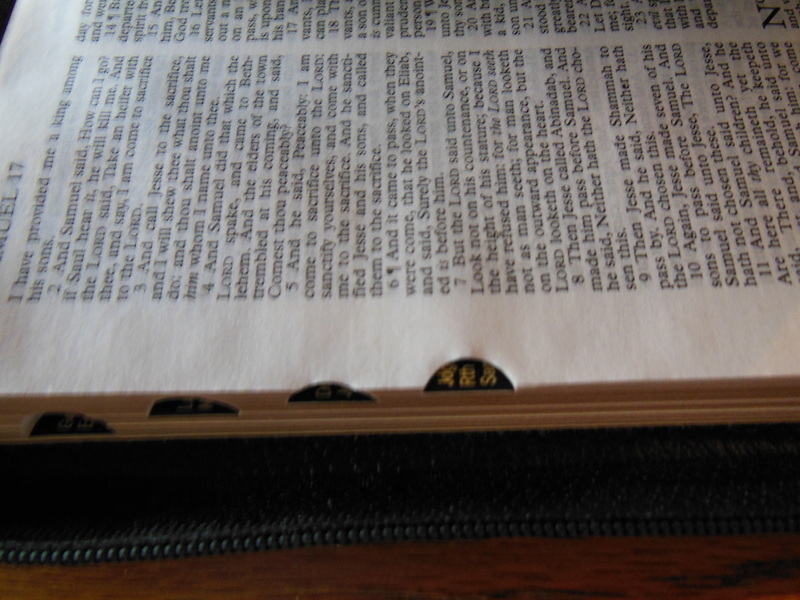 The Bible having a zipper makes this Bible able to survive my B.D.U. pants pockets. 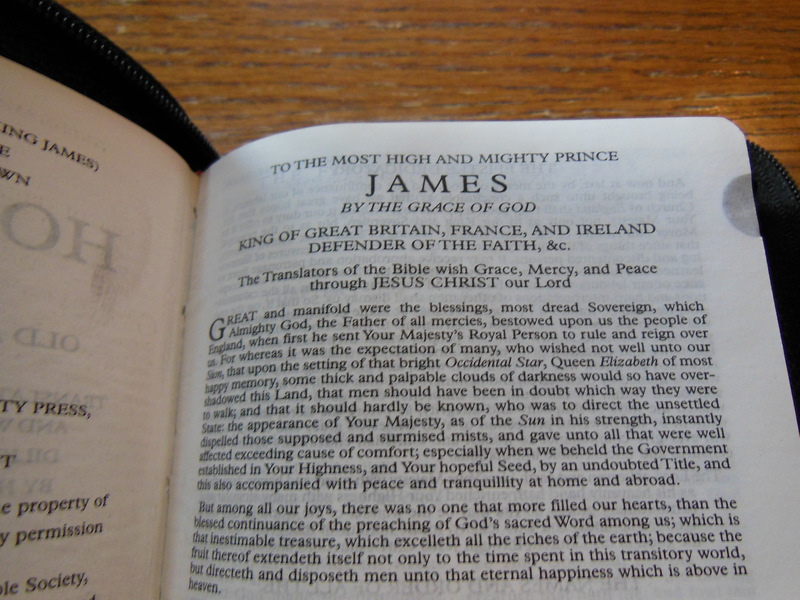 I don’t have to worry about it opening up and having the pages get wrinkled, bent, or mutilated. 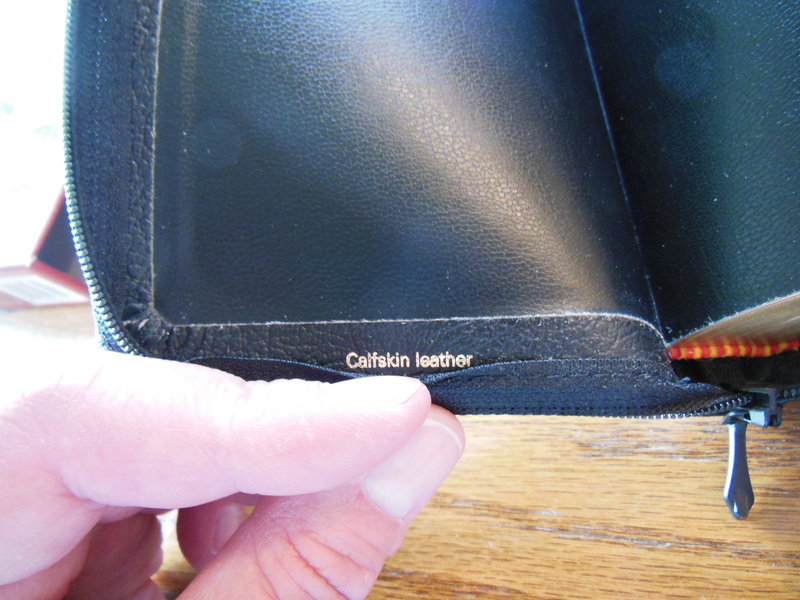 The genuine calfskin is pretty tough so it is protected from getting scratched of torn. 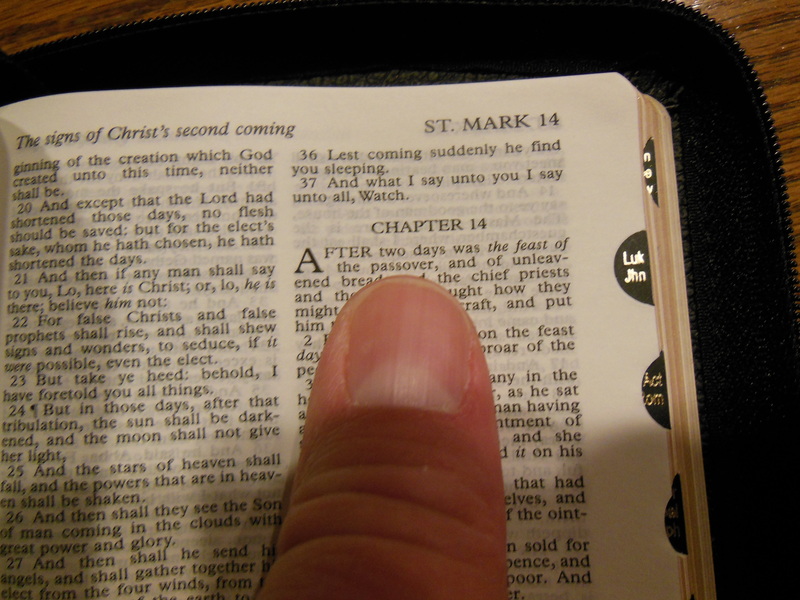 The font is a bit on the small side at 6.5 point, but it is a compact Bible. If you have descent vision it shouldn’t be a problem. Mine is about 20/25 and I can read it fine. I didn’t notice any production errors or defects. 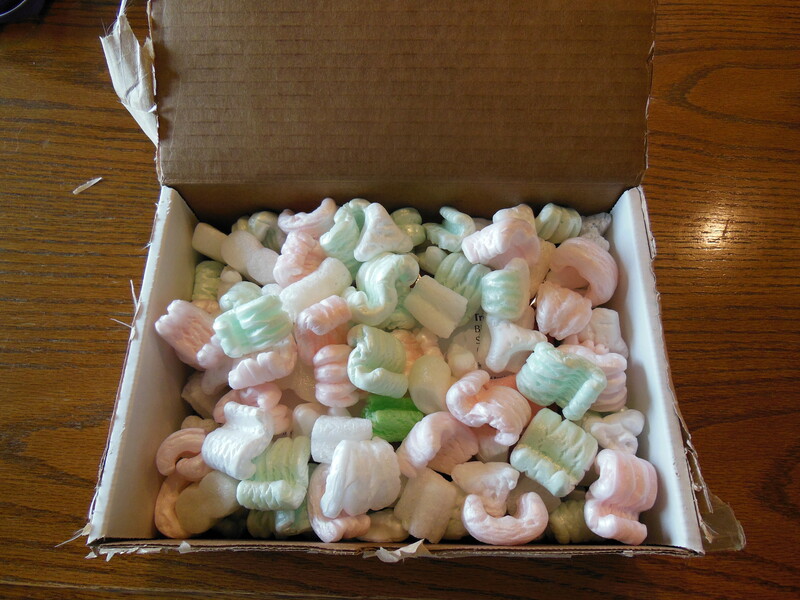 The Bible came packaged in a cardboard box packed in foam packing shells. 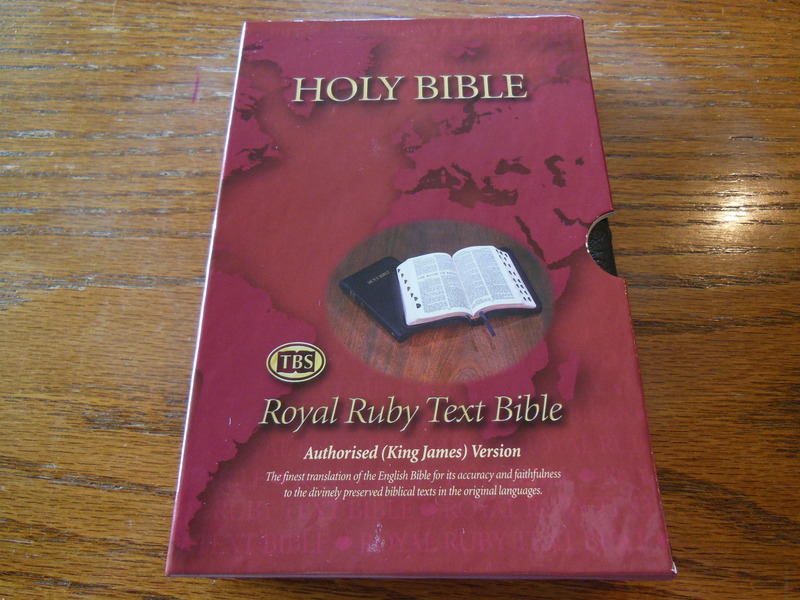 The Bible itself was in a cardboard sleeve, neatly wrapped in clear plastic. One might save the cardboard slip case for storage purposes. 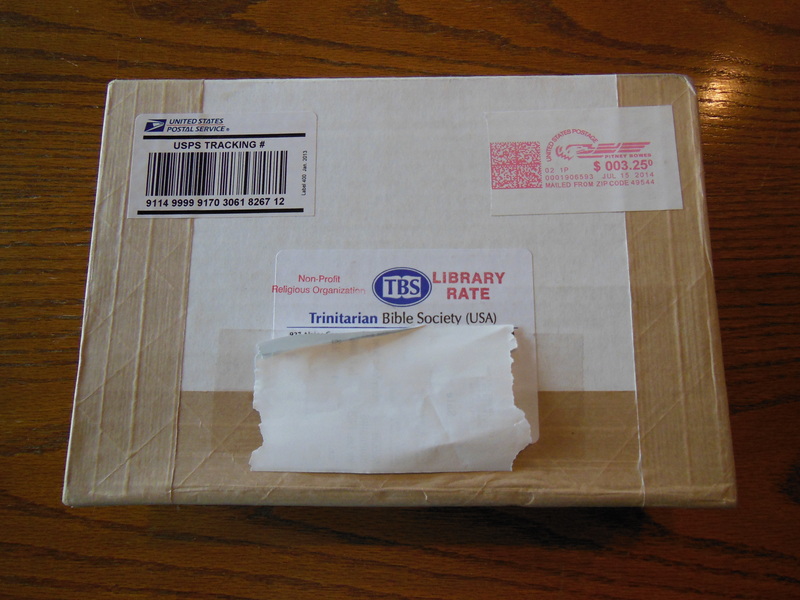 Unlike the card paper sleeves that many value Bibles come in this case can provide a service to the owner rather than being thrown away. Through a mind made dim by sin and what is to come.